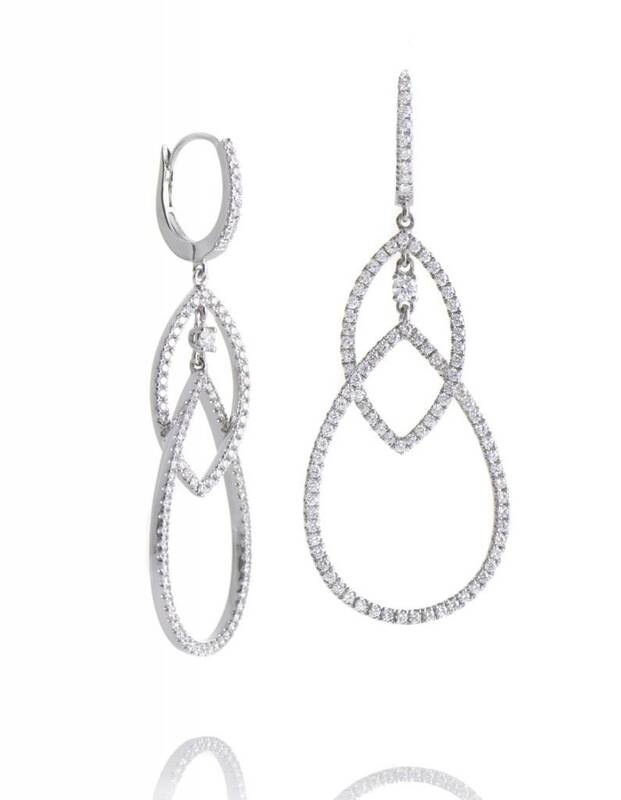 Ladies diamond drop earrings of classic contemporary styling. 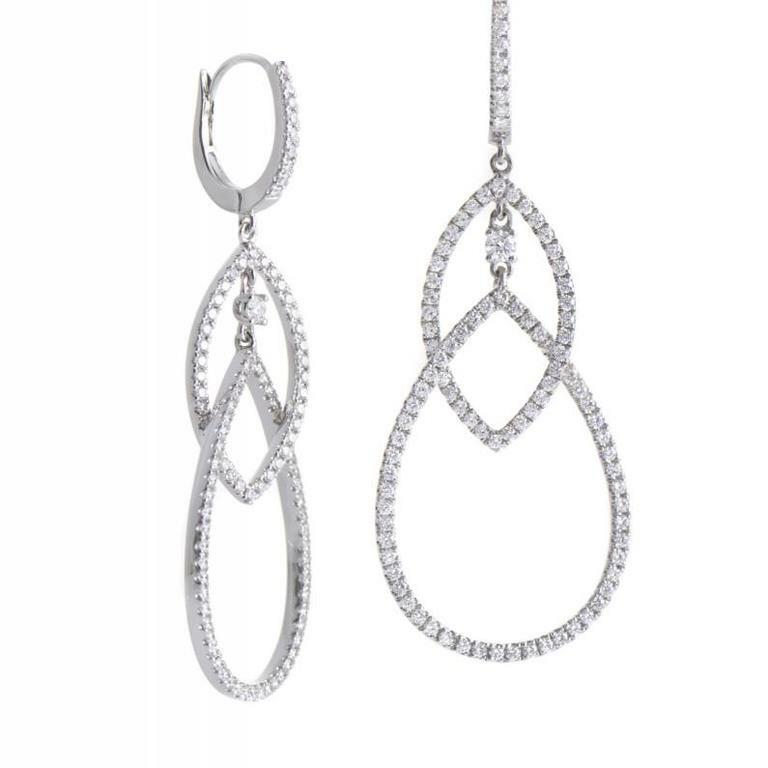 The earrings are crafted in 18k white gold and are set with a total of 198 round brilliant cut diamonds that are micro pave set. The earrings are hinged at every shape for beautiful movement and secure with french post backings.